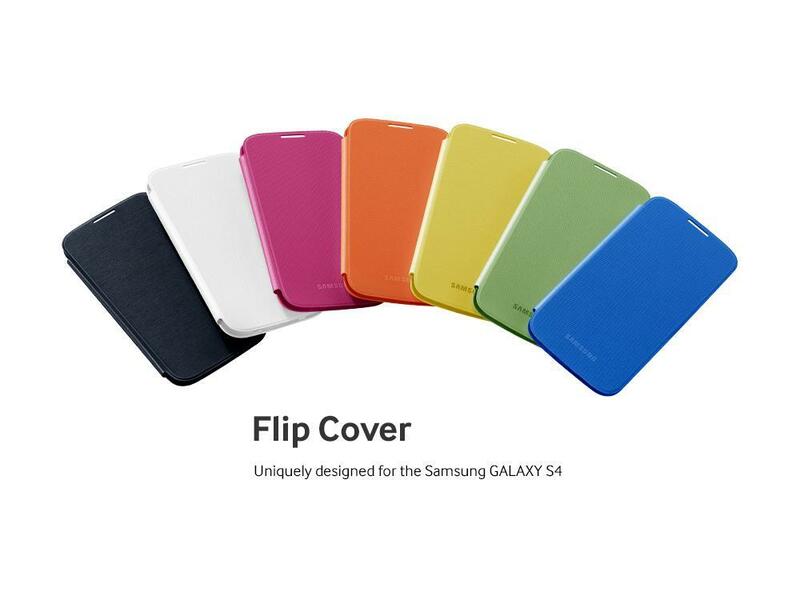 If you’re eagerly anticipating picking up the Galaxy S 4, perhaps you’ll want to take a peak at the upcoming accessory line Samsung will happily sell you. 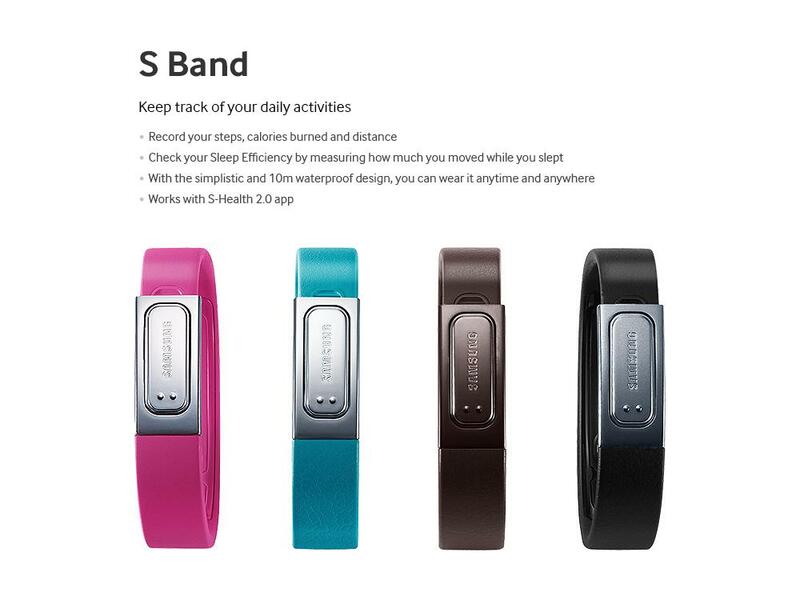 Some are health focused with ties to S Health and then the usual suspects with a Flip Cover or the new S View Cover. Perhaps one of the more notable accessories is the Game Pad, which is said to support devices from 4″ to 6.3″. Does 6.3″ have any special meaning to Samsung — like say a Note III? 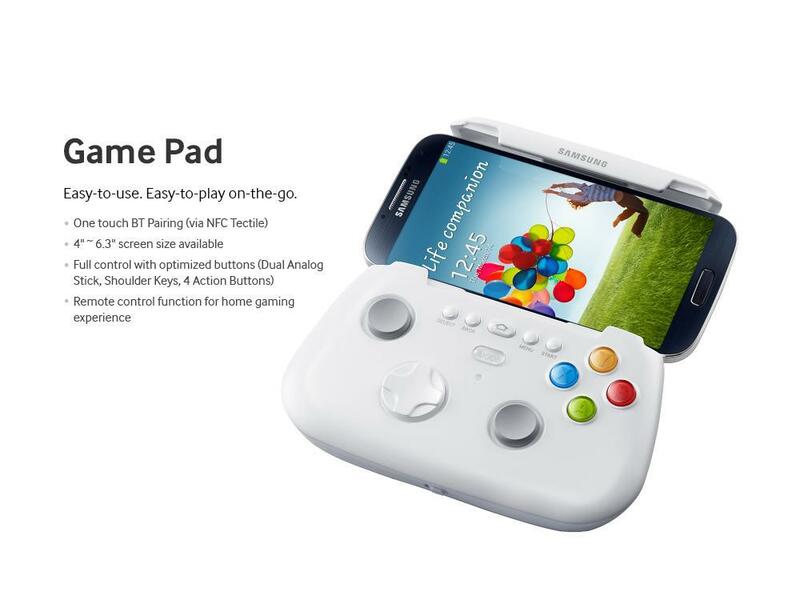 It’s speculation at its best, but we’re definitely curious as to how Samsung chose those specific size measurements to fit the Game Pad. 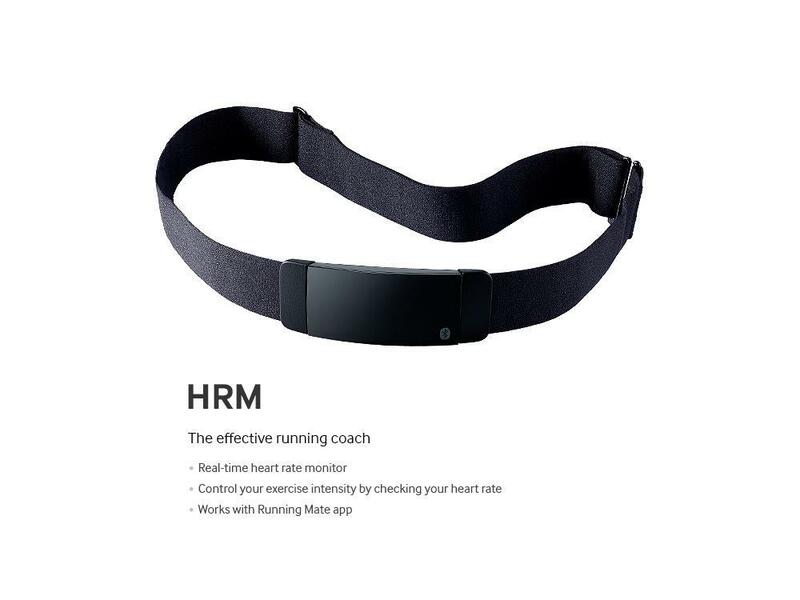 Also being introduced are a new Wireless Charging Pad, Heart Rate Monitor, Extra Battery Kit, Headset, S Band (similar to Fitbit counting calories, steps and distance.) 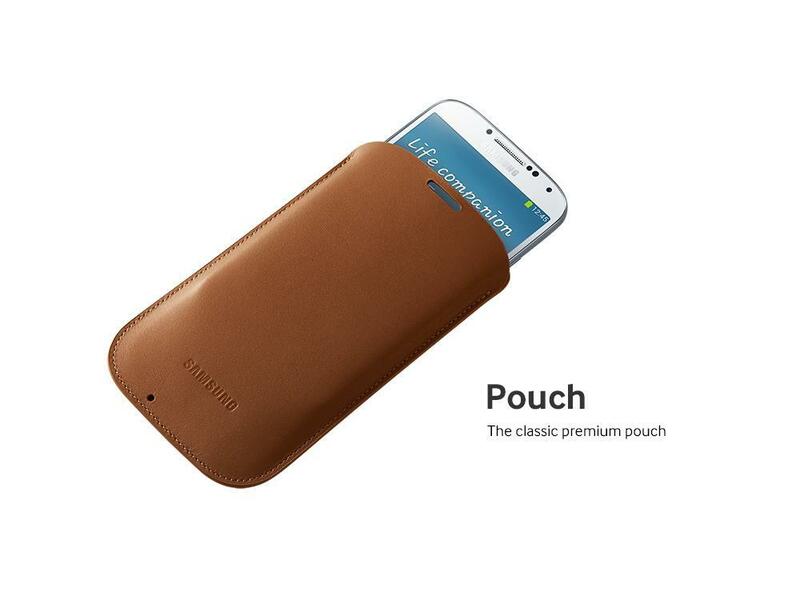 If those doesn’t interest you, perhaps you’ll be interested in Samsung’s Body Scale, Pouch or Protective Cover. There’s something for everyone, fun for the whole family. 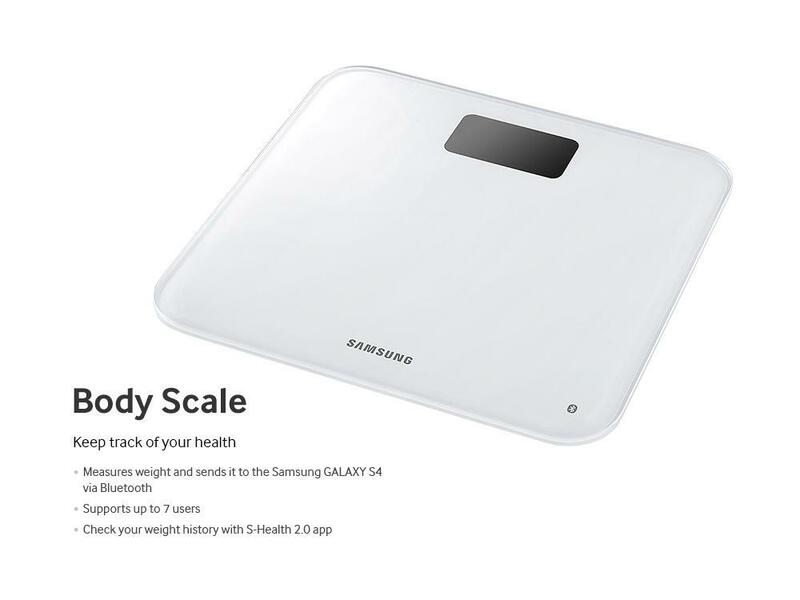 Long story short, there’s a nice mix of accessories launching with the Galaxy S 4 and a clear emphasis on the new S Health features introduced with the new flagship. Take a look at the full line and their respective descriptions below. Nooooo!!! Please samsung don’t make the NOTE III 6.3″!!! 5.5″ is the perfect size! Considering how Samsung managed to trim the bezels on the S4 to make it no larger than the S3 & thinner, A 6.3″ Note 3 would likely be not much larger than the Note 2. I say bring it on. I can’t wait. I’m glad I’m not the only one that noticed the S4 isn’t MUCH bigger than the S3. If you look at a side by side of the HTC ONE and the S4 they’re actually similar in size. The S4 is actually smaller. Check out the measurements. 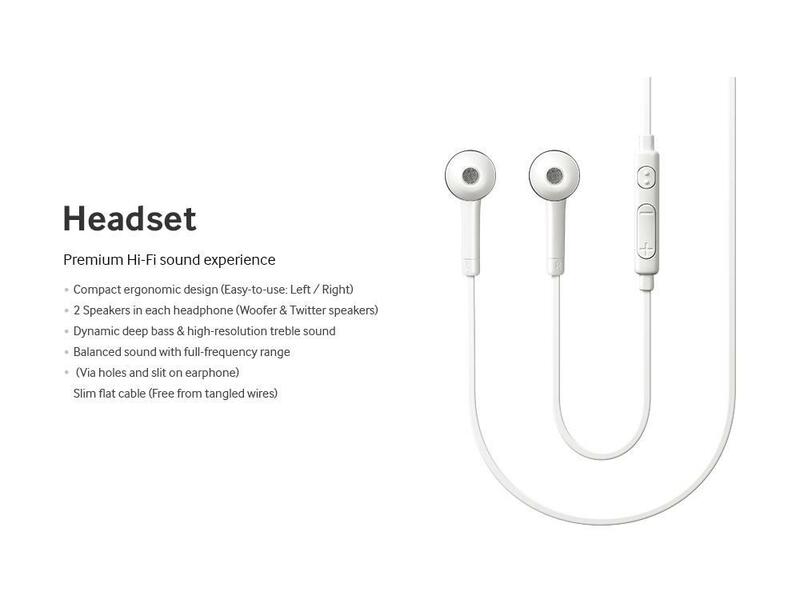 It’s the same height, but less wide & thinner. All that with a larger screen. Yes but a .2″ jump is alot smaller then a .8″ jump in size. Either way I seriously doubt I’ll go out an purchase another phone anytime this year or maybe even next… I am just so extremely happy with my N2. I’m with you on that. There’s no way the Note 3 will be smaller than the Note 2 is it has a 6.3″ screen. The Note 2 also already less bezel than the S3, so they have less to carve out, too. I’m also extremely happy with my Note 2, but I’ll be getting a Note 3, anyway. 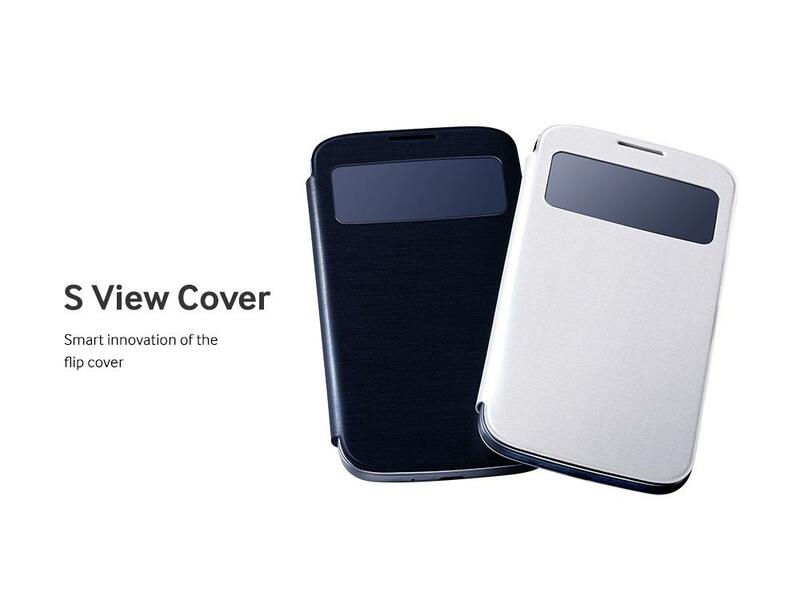 These accessories are wonderful to see for the upcoming 2013 handsets for Samsung. Just like the Galaxy S3 and Galaxy Note 2 had the same form factor and basic accessories in 2012. Look forward to the Galaxy S4 and Galaxy Note 3 to bring in the 2013 year on the same note. Without any doubts I am happy with my Galaxy Note 2 it’s the industry GOLD STANDARD the device everyone is trying to catch up too and copy for that matter. I will definitely be picking up the Galaxy Note 3 rather it be 5.9 inches or 6.3 inches in September/October 2013. The Galaxy S4 will sell very well this year. I’d go with the Samsung Galaxy Note III any day rather then the LG Optimistic G Pro and Huawei Ascend Mate. No doubt, man. That’s a given. I’d go with the Note 2 over those devices. Amen, brother. Preach. I am in complete agreement. That controller looks like a 360’s, man they really just copy sometimes lol. 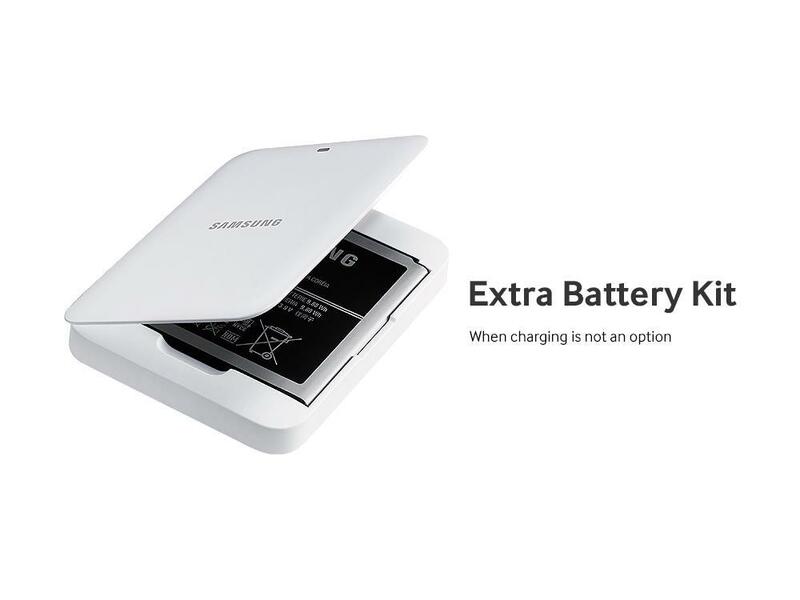 Is the wireless charging Qi compatible? wow.. nice accesories, i think I may need to get this.. I got no problem playing games on my huge 4.7″-5.5″ phones. But it would be nice to try this out. Going to get one for sure. And then try it out when the Samsung Galaxy Note III comes out. It’s definitely no guarantee. More like a possible indicator. 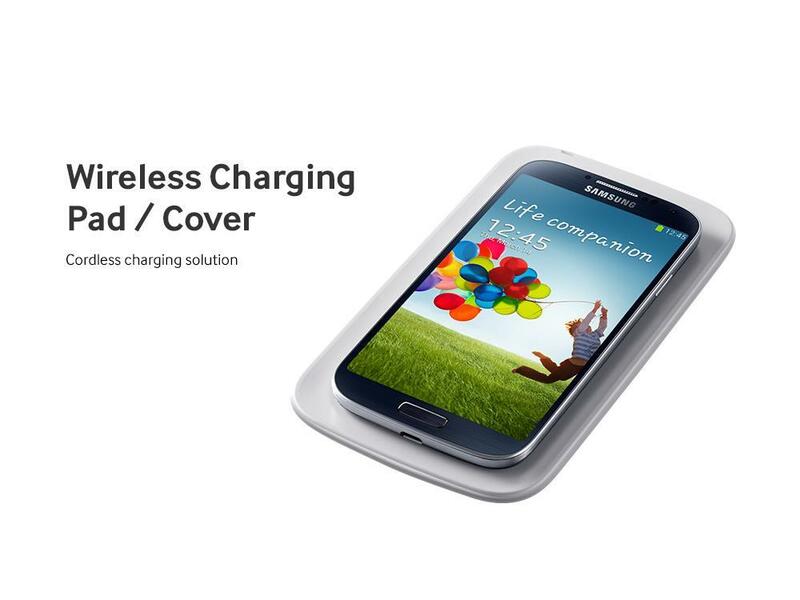 Note3 and Wireless Charger Base are going to be my next Samsung purchases to replace my Note2. I’d buy a SG4 if the screen were as big as the Note2. What? No dock? A dock with HDMI out would be something I would get. okay so i played with the S3 extensively this weekend . and although initially i was set on the S4 over the HTC One .. my still apparent disdain for Touchwiz and some aspects of it are pushing me back to HTC One afterall smh. 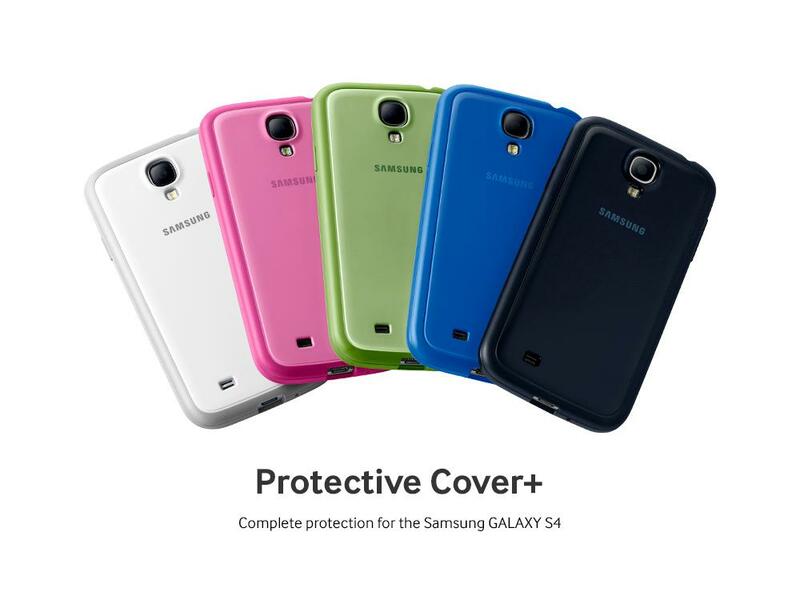 But no screen protectors, my S2 came with 2 and the S4 comes with none and the protective covers are all back ordered!